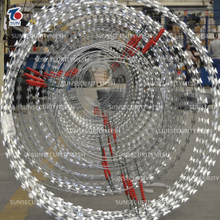 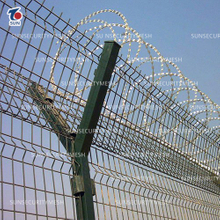 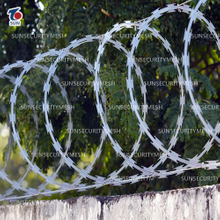 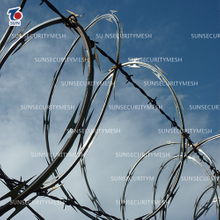 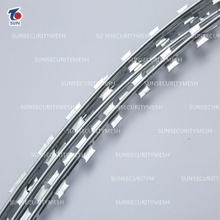 Razor barbed wire it is not only used in the military environment, concertina razor wire the civilian use is now gradually increasing, Concertina Wire forming a variety of materials, a variety of types of products. 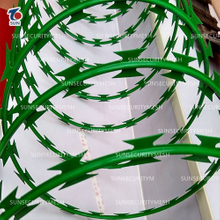 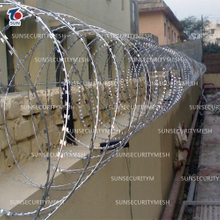 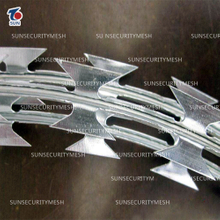 Razor barbed wire material: galvanized razor wire, Hot-Dipped galvanized razor wire, pvc coated razor wire, stainless Steel Concertina Wire, stainless steel razor barbed wire, steel concertina razor wire etc kind razor barbed wire products. 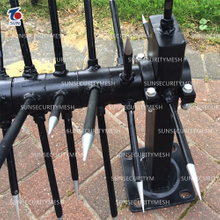 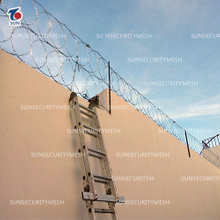 Razor barbed wire Types: flat razor wire, flat wrap razor wire, spiral barbed wire, spiral razor wire, spiral razor barbed wire, smart razor wire coil etc rapid deployment system products.